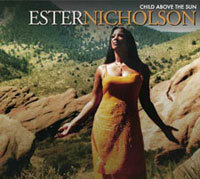 The first time I heard Ester Nicholson sing, I cried like a baby. The term angelic is thrown around so easily, but when it comes to Ester, she truly does have the voice of an angel. This new CD of hers is so much fun to listen to and has a healing quality rarely found in today's music. Spanning from Gospel to jazz-influenced R&B, Ester Nicholson's Child Above the Sun traces an extraordinary journey - from destitution and addiction to prosperity and self-realization. This collection of songs, from writers as diverse as "Agape's" Rickie Byars-Beckwith to "Color Purple's" Brenda Russell, is a beautifully produced, sophisticated CD that overflows with personal authenticity and heart. An extraordinary artist who has performed with everyone from Rod Stewart to Bette Midler, Ester is a demonstration that no person is beyond redemption and that life-changing renewal is possible for everyone - regardless of personal history or current circumstance. 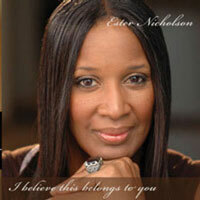 I Believe This Belongs To You, Ester Nicholson's production of her tribute to Martin Luther King, Jr. The recording was produced in coordination with the MLK National Holiday.